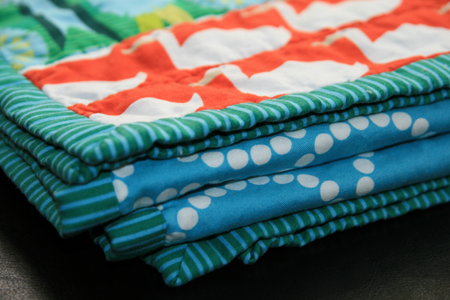 I wanted to show off the fun prints so I decided on large strips of fabric with varying widths. 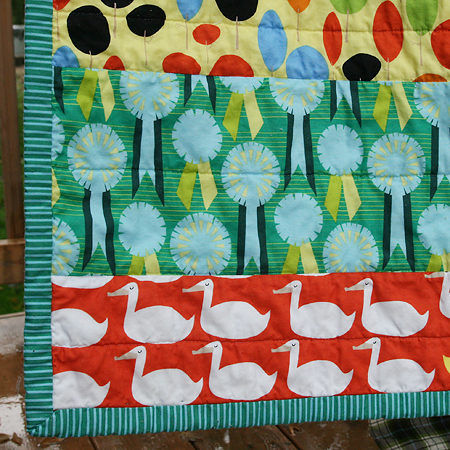 I quilted lines down the seams and also in the middle of each strip. I'm happy to say my straight lines look great this time! 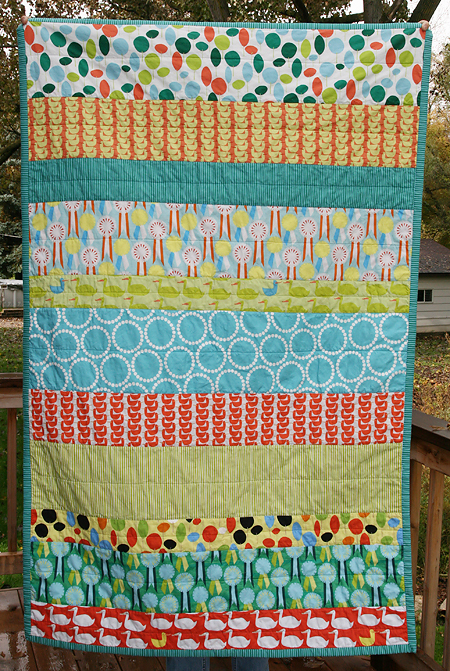 I bound the quilt in stripes (my first time using stripes as binding) and it's just so fun! 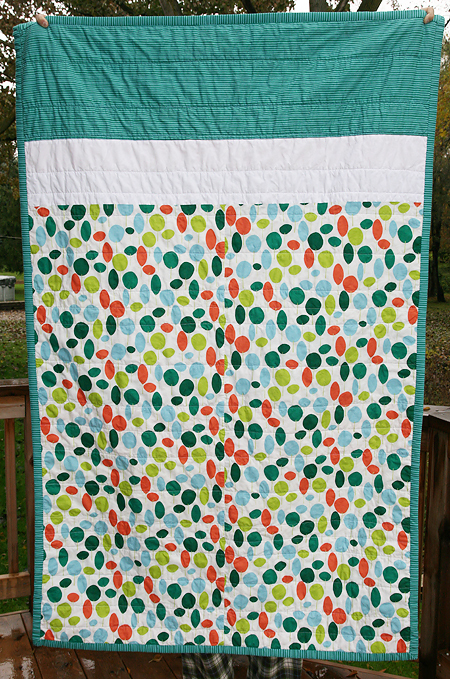 The final quilt measures 39" x 61".